Don’t get us wrong, as we love having a good little black dress in our closet for any occasion. However, summer often calls for a splash of color in our wardrobes, and this season, bright colored dresses have been rising up the ranks of our favorite pieces. If there’s any time to add some bright pieces to your closet, it’s now. Blame it on the return of neon (we’re sorry, but it really is back), but between the rising temperatures and the cheerful mood that come with the season, we’re wanting to shed our everyday hues for bold statement colors. Even when you’re someone who likes to enjoy a minimal wardrobe, a pop of color here and there will put you in the right mood for those warm summer nights at dinner or in the park with your friends. From head-turning red to a cool aquamarine, there’s no doubt that these dresses will brighten up anyone’s day. Ready for a sunny day. We’re obsessed with this color. Wear this to the office and to happy hour. We can’t get enough of this color. Turn heads in this dress. Have you hopped on the prairie dress trend yet? Wear this to brunch with your friends. This dress from Tibi is just so cool. 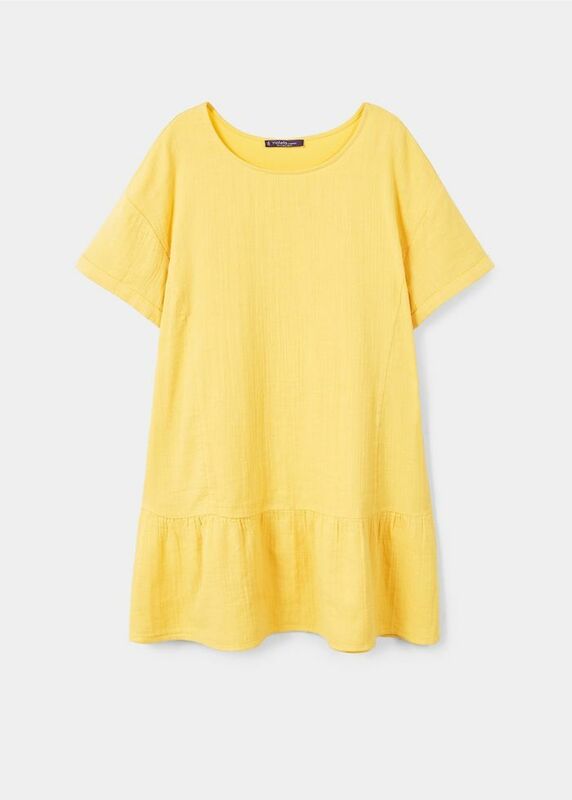 Leave it to Creatures of Comfort to create a breezy dress for summer. We love a good puff-sleeve dress. How good is this color for summer? With such colorful dresses in your wardrobe, you’ll feel happy every time you look through your wardrobe to get dressed.